Since my review on Automaton has been up I have had so many review requests, its crazy! I have about 4 books that have been sent through to me the last few weeks so I’m just going to post on here the books I have got and will be reviewing in the order. I have been busy the last week or so, meaning I haven’t had much time to read but this week I will be catching up with everything! That is starting today as soon as this post goes live I will start reading! As some of you may know Entwined with you by Sylvia Day is on sale on the 4th so I am trying to read at least a book or two before that, as I really have been looking forward to EWY and I cant wait to review it along with the other 2 Crossfire Novels in one post! I may read a book that I have received after another first, simply because it just grabs my attention more and its what I feel in the mood to read! It doesn’t mean I don’t want to read a certain book, its simply what I want to read first. I can promise I will get through all of these books in the next few weeks and each will have its own review. So lets begin on the list…. There is one more book but since I am nearly done with it I wont add it to the list, the review will be up either tomorrow or later today for that one. So keep your eyes out! I’m so sorry I haven’t posted on here for a few days, since I have been ill, I have not been able to move much so typing an entire review was out of the question. Apparently I have a virus says the doc but I have never heard of a virus that makes you feel like jelly and as though all of your bones are broken! Anyway on the plus side I am feeling better and have a review to do possibly sunday afternoon (I have work tomorrow and sunday) The review will be on a book called The Bet, I am enjoying it so far but it can always change! I have also been writing more well not the last few days but before I was ill I exchanged emails with a lovely woman who has given me much inspiration and advice on writing, so since then that is what I have been working on. I have another book I will soon be reading and reviewing so look out for that in the next few weeks. So this was just a small quick update of what is to come and to let you guys know why there hasn’t been much activity on here. I hope you’re all well! 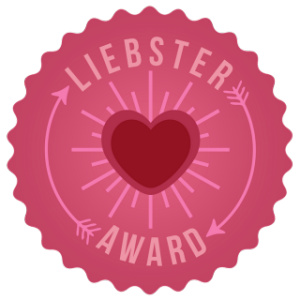 Thank you for the Liebster Blogging Award and MORE blogs you should check out! Thank you very much to abigailrobynbrown for nominating me for the Liebster Award. It is an award passed on by bloggers to new blogs worth reading (blogs with less than 200 followers). It’s very exciting to be nominated, and in turn to nominate others! If you were stranded on an island, what would be the three things you would choose to have with you? If I were to be stranded on an island, I wouldn’t choose things to have with me. I would choose not to be stranded in the first place haha. If I knew I was going to an island where I would be stranded for say a week then I would take a book one I have never read before so I can sit in suspense for a while, a crate of Dr pepper and a fire making kit as I have no idea how to make one! If you could meet anyone in the whole world who would it be? Nate Ruess, he is too cool! Facebook or Twitter? I don’t have facebook so I have to say Twitter, I left facebook nearly 4 years ago since I was fed up with silly people posting things for attention and the constant arguments people had on there. Twitter is a way better place! Favourite subject in school? English for the learning and Geology for the fun I had with all my friends in there! Best place you have ever been to? The best place I have ever been to was probably Bude, a little town in cornwall the beach as so pretty and the town was just so small and cute. What made you start your blog? I have wanted to start a blog for ages to review books, share my love for reading and also just keep track of the books I have read ect. I’m so glad I have as its been so much fun so far! What is your guilty pleasure? As bad as it is my guilty pleasure is reality tv, Geordie shore. As awful as it is it does make me laugh at how stupid and careless these people are. What do you love about blogging? The thing I love most is knowing people have read my blogs and I have got my opinions out there! 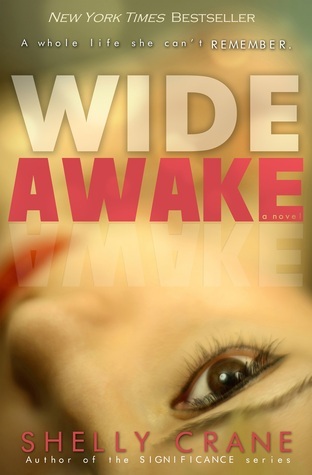 Book Description- When Emma Walker wakes up in the hospital with no knowledge of how she got there, she learns that she’s been in a coma for six months. Strangers show up and claim to be her parents, but she can’t remember them. She can’t remember anyone. Not her friends, not even her boyfriend. Even though she can’t remember, everyone wants her to just pick up where she left off, but what she learns about the old her makes her starts to wish she’d never woken up. Her boyfriend breaks up with the new girls he’s dating to be with her, her parents wants her to start planning for college, her friends want their leader back, and her physical therapist with the hazel eyes keeps his distance to save his position at the hospital. I have been hearing about this book a lot the past few weeks and I knew that I had to read it, so I finally purchased it and began reading straight away. Starting the book I found it was in first person and was being told by Emma Walker the girl who has been in a coma for the last six months. I loved the beginning of this book so much it was so different and basic yet amazing. For the first few chapters the book was set in near enough one room. Emma had just woken up from the coma and was unable to move around much, she had visits from her family her boyfriend and also Mason her therapist. What I loved most about the beginning of this book was how Emma knew nothing about her future or her past and it was as though she was in the same position as the reader. She didn’t know anything about herself or what was going to happen in the next few days, months etc and neither did we. I loved the part when Andy admits the whole thing was his fault and the little twist with Mason knowing her before her coma that I didn’t expect. Although I did have a feeling it was going to be down to Andy as soon as we met him in the book. I also liked Masons character a lot he wasn’t the common bad boy turned good that we get in a lot of stories but he did have one of those pasts that a lot of characters always seem to have. There seems to be a lot of guys in stories these days with tattoos and a bad boy thing going on and this story had a bit of that but not all that the others have. This story really made me think wow what would I do or how would feel if I woke up one day and didn’t remember anything about myself, my friends, family or my life and I think this is what makes this book different to others its not only a love story but its an eye opener on life. Moving on to the things I didn’t like about this book now, firstly as soon as Andy was introduced into the story I hated him, I think I read one or two little sentences and I just hated him. He is just an annoying character but he is the bad guy of the story I guess. I think his death could have been different, well not different I think it could’ve been better if he admitted what he had done to everyone and then maybe got his punishment with the law rather than end his life. I also felt like there was far too much “I licked my lips”, “He licked his lips”, “She licked her lips”. After reading this around 4 times I started to get a little bored, repetition is fine but there is a limit. I know Shelly Crane was most likely trying to just give us more of an image of the characters but i’m starting to wonder how dry these characters lips are!? I must have read those little words around 10-15 times throughout this book. Another thing I found I didn’t like was the parts when Mason was helping Emma cross things of her bucket list such as go to prom, dance in a field etc I found this too similar to Nicholas sparks’s A walk to remember when Landon Carter is helping Jamie with her bucket list when he finds she has cancer! There were a few grammatical errors and issues with the characters, some being there too little and some just not making sense. I did like the beginning of this book a lot and its a shame it didn’t keep me as interested as I would have liked, I may give it a second chance and re-read this book when I have time and see if I feel different about it then. For now though I am giving this book a 3/5. 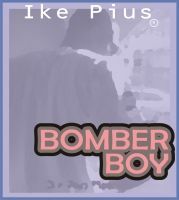 If you can deal with a lot of repetition and predictable moves then you will have no problems with this book. Honestly I would say read it, it did have its amazing parts maybe it just wasn’t my cup of tea. I hope you have enjoyed reading my review and wish for everyone to have a read of this book and let me know what you think of it! Feel free to give me some feedback or leave me your opinions, send me a comment or a tweet!